The Swedish psychedelic rock band Dungen are currently wrapping up the last few dates of an extensive U.S. tour. Two weeks ago, they performed at Bell House and acidjack was there to capture it. As this show took place while I was on vacation, I will refer our readers to the excellent review of this show by the “Look At Me, I Made a Blog” music blog [here]. Acidjack recorded this set next to the soundboard with his new AKG microphones and the sound is quite excellent. Enjoy! 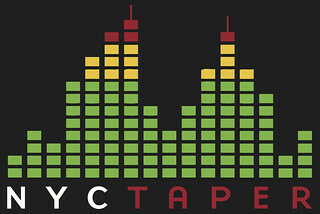 If you email nyctaper for access to this recording, we expect that you will PLEASE SUPPORT Dungen, visit their website, visit their MySpace page, and purchase their official releases from the Shop at their site [HERE]. 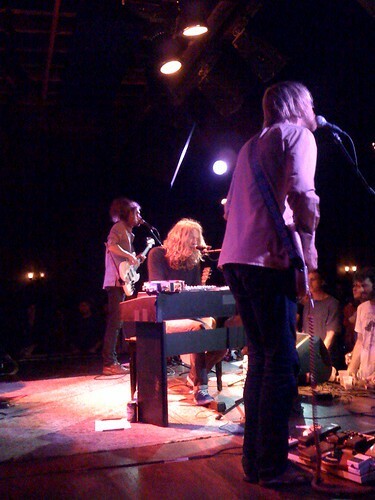 Awesome- love the Dungen and sadly I missed all of the Cdn dates while away on vacation…this is the next best thing! Thanks for this! I was at the show and I’m very grateful to have this recording of it, so I decided to help you out with the setlist. I didn’t recognize the second instrumental, though it may be on Ta Det Lungt. Maybe someone else knows that one. Greeting from Sweden, I just checked the spelling! thank you, brilliant, like the majority of your recordings! thank you for the great concerts!